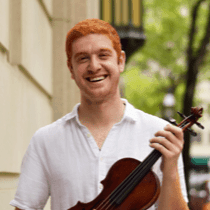 Layth Sidiq is a globally acclaimed and sought-after violinist, composer and educator in the U.S. and abroad, and is the current director of the Arab Music Ensemble at Tufts University. Born in Baghdad and raised in Amman, Layth’s music is described as a “glimpse of the past through a futuristic lens,” and his album Son of Tigris is a clear example of the unity between Iraqi music and jazz, which led to it earning a performance at the Montreal Jazz Festival in 2016. Layth has toured the world with many acclaimed groups and has performed in prestigious venues with award-winning artists like Simon Shaheen, Jack Dejohnette, Tigran Hamasyan, Shreya Ghoshal, and Gary Burton to name a few.